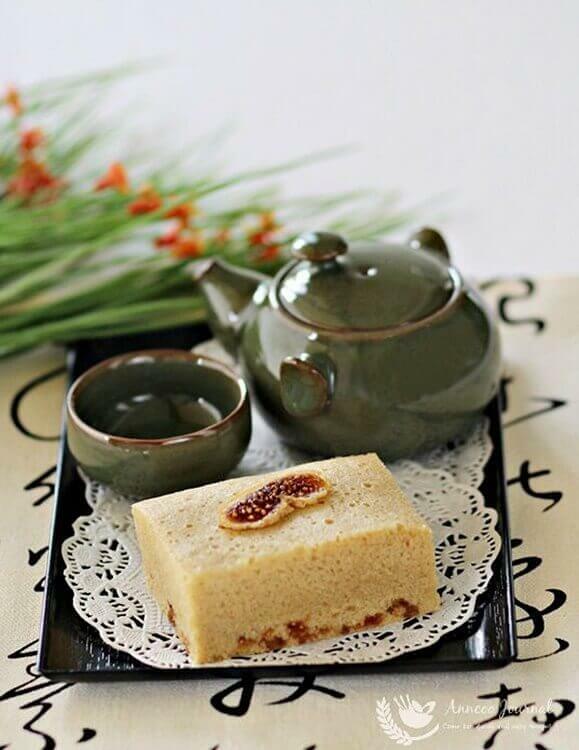 Ma Lai Kou (马拉糕）in Cantonese, is another traditional steamed sponge cake available in the dim sum restaurant. The main ingredients are brown sugar, eggs and flour. What I’m sharing here is a short-cut way of making Ma Lai Gao and this steamed cake isn’t as fluffy compared to what we have eaten at the dim sum restaurant. 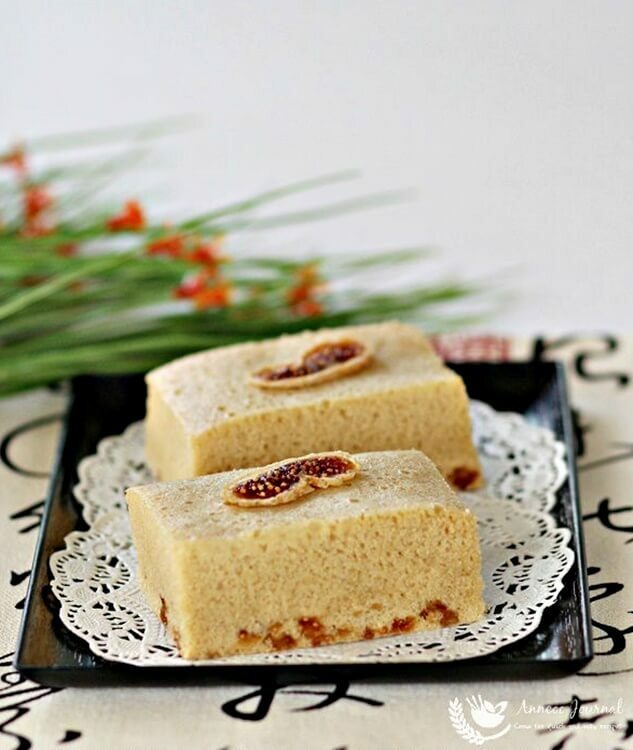 However, the texture is spongy and soft, it also has the sweetness of dried fig in it. Definitely another great snack for anytime of the day. Sift plain flour, baking powder and baking soda together into a bowl, set aside. In a mixing bowl, beat eggs and brown sugar till thick at high speed. Add in flour mixture in 3 batches into the egg yolk mixture. Use a hand whisk to mix well gently. Pour in milk and vanilla in 2-3 batches, continue to stir well and pour in butter, stir well again. Lastly add in the dried fig. Pour batter into a 7 inch square lined pan. Can use a 6 inch square pan, if you want a higher cake. Steam at high heat for about 30 minutes to cook or use a skewer inserted into the center of the cake comes out clean. Serve immediately when the cake is piping hot. You are so creative. Love your MLK with dried fig. The addition of dried fig sure give it a special YUM!! Ann, your Ma Lai Kou looks nice even though I am not a fan! 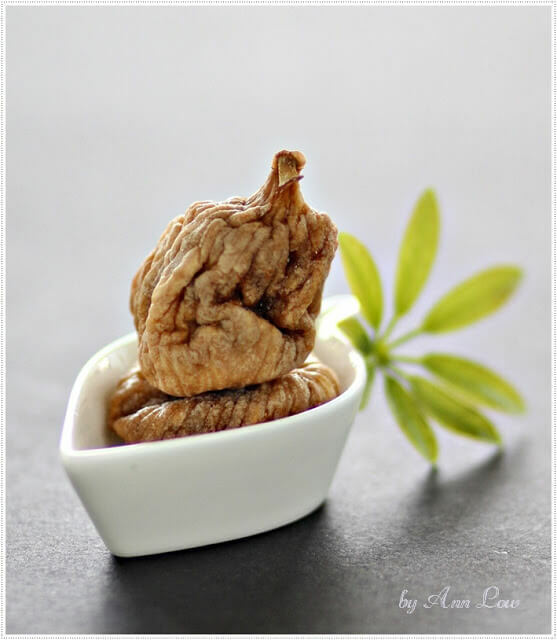 Haven't eaten MLK with dried figs before, must be delicious especially with a cup of hot Chinese tea! I love the addition of figs there. Perfect texture, Ann.